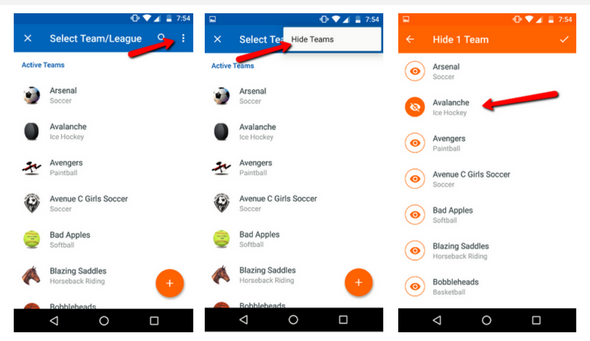 Need to hide inactive teams cluttering your app? If you have inactive teams that you don't need the information for or have defunct teams that you don't want to have to log into the website to leave, you can hide them from your team list on our mobile apps. Note: Emails, alerts, and any other communications will still be received from hidden teams. Links within email, alert, or SMS can be clicked to go directly to view the hidden team. To fully remove yourself from the team, you need to leave the team.